Designed in Switzerland by the world leader in wind measuring instrymentation, JDC Electronics, the skywatch range of wind instruments are expertly crafted, beautifully designed and attractively packaged. 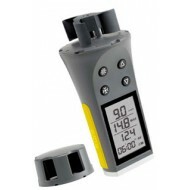 These compact wind and weather instruments are also very competitively priced. Xplorer Range ..
Anemometer with 54mm propeller Skywatch Eole 1 is an anemometer with a 54mm impeller who measurewind strength without worrying about his position. 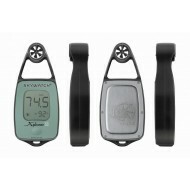 The Skywatch Eole is energized by two replaceable AA batteries. The display is made up 99.9 at the 10th, then to the unit. 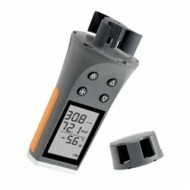 The aluminium base with a thr..
Anemometer thermometer with 54mm propeller Wind speed and temperature meter, including a calculation mode of the wind-chill factor (temperature felt when the wind is blowing). Used by fire fighters, farmers, scientists, etc. SKYWATCH® meteos is a thermo-anemometer who measure wind strength withou..